Neither businesses nor individuals should ever underestimate the importance of strategic tax planning. 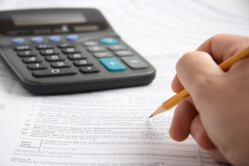 Getting professional assistance from Rolla CPA Brett Bruner, CPA EA can ensure that your tax liability is minimized, you are always operating within the newest laws and regulations, and your returns are prepared accurately and filed on time. We’re available at 573-433-3999 or you can contact us through our website. We’ll get to know you and your individual situation, then advise you on the most appropriate tax planning strategies for your specific needs.